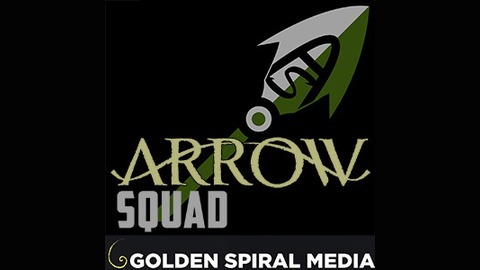 Arrow Squad is a fan podcast about Arrow on CW. We discuss each week’s episode, theorize on what might happen next, and share listener feedback out each episode. 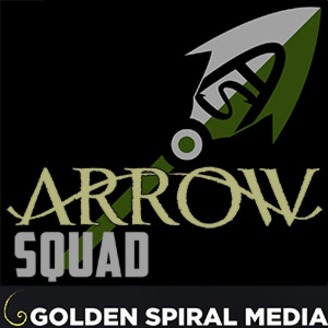 Send your feedback about each episode of Arrow by calling 304-837-2278 or visiting www.goldenspiralmedia.com/feedback. AS 163 - S7E18 - "Lost Canary"
It's time for the ladies to shine in this episode of Arrow! Revolving around the redemption of Black Siren and whether she's going to turn back to the dark side, with Felicity still having her back while the other ladies, including Dinah, believe she's a villain, it's an all out leading lady team-up that brings in a visiting certain white canary we know as Sara! Listen in as Martin the Flash and Cammie talk about how Arrow handles this all female focused episode! AS 162 - S7E17 - "Inheritance"
AS 161 - S7E16 - "Star City 2040"